12th, 2018 at the age of 88. Mr. Schlabs was born on December 15th, 1929 to August and Teresa (Heck) Schlabs in Scotland, Texas. He came to Hereford in 1941. After he graduated high school, he served in the U.S. Army, spending one year in Korea in 1951 and another year in Washington, D.C. in 1952. He had met the love of his life, Mary Hund Schlabs at the St. Anthony Church Youth Group and the two were later married October 6, 1954. Raymond was a farmer all his life. He began farming in the Summerfield-Black community and moved to the current farm in Hereford in 1964. He was dedicated to family, Church, and community. 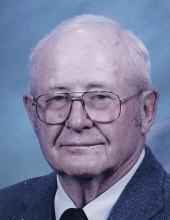 Mr. Schlabs held various positions in the St. Anthony Parish Church and was a member of the Knights of Columbus, holding the positions of Grand Knight and Faithful Navigator. He was also a board member of the Hereford Chamber of Commerce, the Hereford ISD School Board, and the Texas Corn Growers Board. He was named Deaf Smith County Ag Man of the year in 1987. He was also an accomplished pilot and took the time to fly his plane whenever he could in his spare time. Mr. Schlabs is preceded in death by his parents, and by his son Kenneth Schlabs. Those left to cherish his memory are his wife Mary, his children: Raymond Jr. and wife Charla Schlabs, Tom and wife Joyce Schlabs, Karen and husband Lance Martin, Barbara and late husband Michael Franks, all of Hereford, Texas, Donna and husband Mike Henry of Mansfield, Texas, daughter-in-law Melissa Schlabs (late husband Kenneth Schlabs) of Hereford, Texas, and Cheryl and husband Kevin Johnson, of Clarendon, Texas. His brothers Charles and wife Geraldine Schlabs of Hereford, Texas, and Edmund Schlabs of Summerfield, Texas also survive him. Raymond leaves behind 24 grandchildren, 30 great-grandchildren, many nieces and nephews, and a host of friends. Burial to follow at St. Anthony’s Cemetery. Fr. Anthony Neusch will be the celebrant. "Email Address" would like to share the life celebration of Raymond Schlabs. Click on the "link" to go to share a favorite memory or leave a condolence message for the family.